From Durango in Colorado we travelled south back into New Mexico. The scenery changed from alpine to desert as we went along, though our next stop at Sante Fe is still at quite an altitude. Instead of greens and dark browns, it was reddy-browns, and the temperature was much higher. Sante Fe is an intriguing place. It is one of the oldest settlements in the US, being originally a Spanish mission. 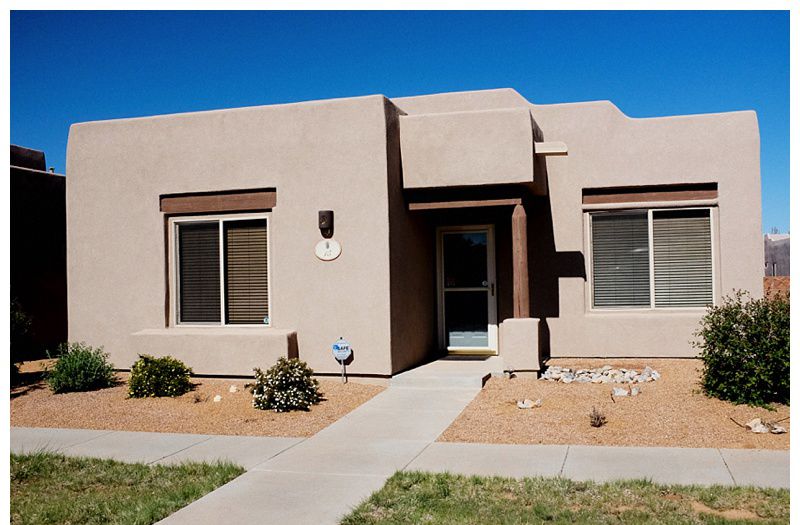 The architecture is almost uniformly of the adobe Spanish style, with soft rounded corners and flat roofs in a mud brown sand colour. It doesn’t sound as nice as it actually is in real life – there are different shades in the colours and individual styled buildings. The old town centre, with its Cathedral and plaza, is wonderfully relaxing place. 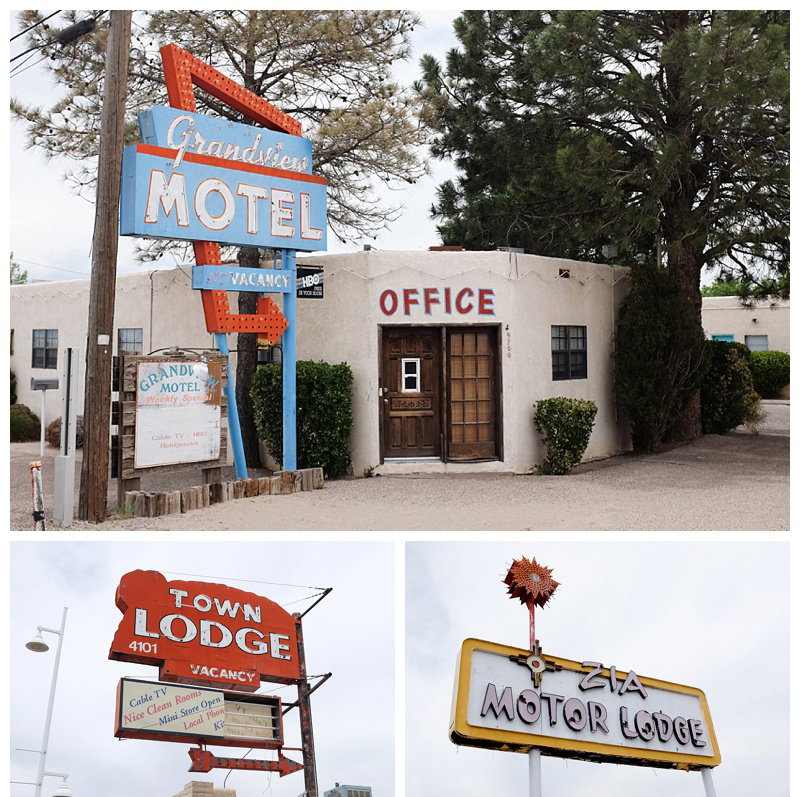 Sante Fe was a jumping off point for us to visit Los Alamos. Once a sleepy village, Los Alamos was the top secret centre for the Manhatten Project – the development of the Atom and Hydrogen bombs that were dropped on Japan in 1945. The museum was interesting and told the tale of the place very well, though without too much questioning of the deeper moral significance of the development of nuclear weapons. 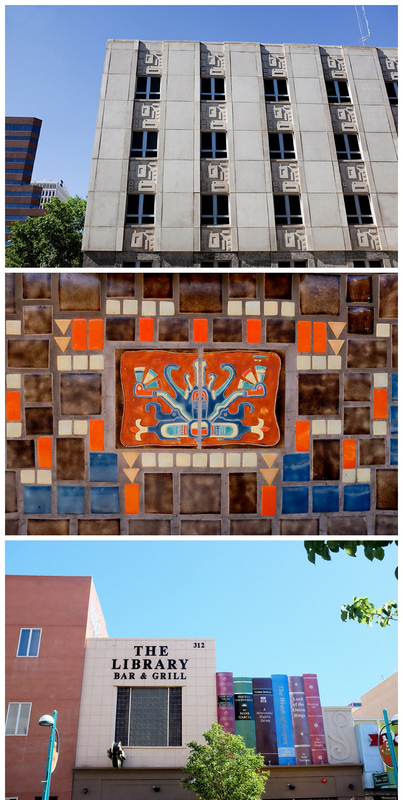 Next up was Albuquerque, a place that has stuck in my mind since that Prefab Sprout song of the 1980s. When we first arrived I must say we were hugely underwhelmed by the downtown area. 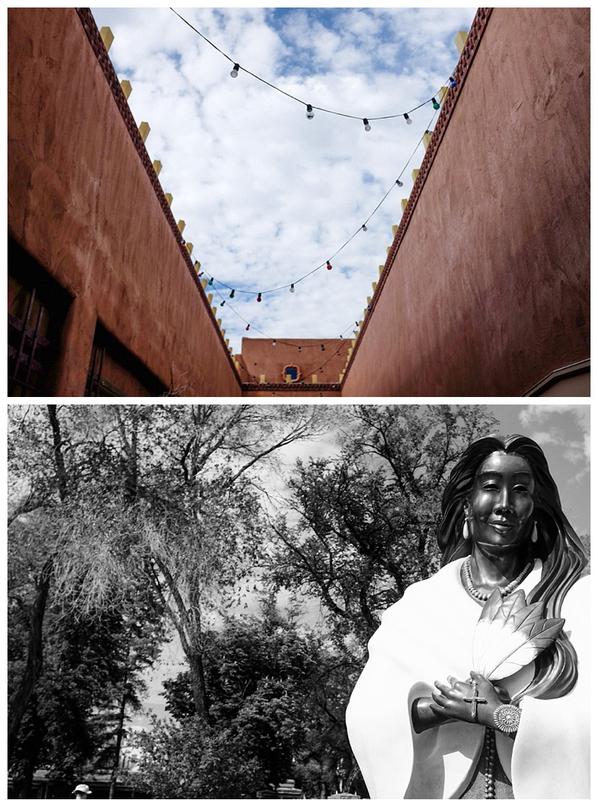 Even the historic old town, which was away from the modern city centre, was nothing like as nice as Santa Fe. Two things made the stop worthwhile – firstly, the place we stayed – a turn of the century townhouse – was gorgeous! 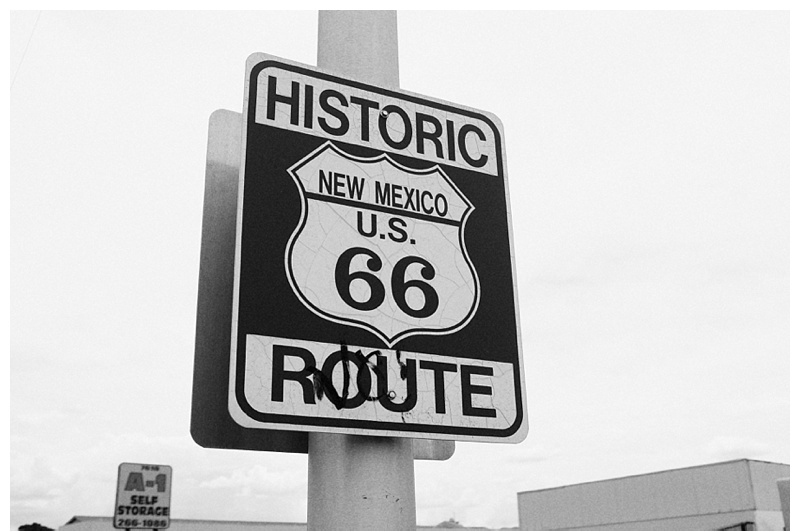 Secondly, a section of the old Route 66 runs through Albuquerque, and there are a fine collection of historic motels, cinemas and gas stations that give a glimpse of the hayday of the road. The local tourist authorities have produced a wonderful guide that points out all the sites that are hidden in plain view. 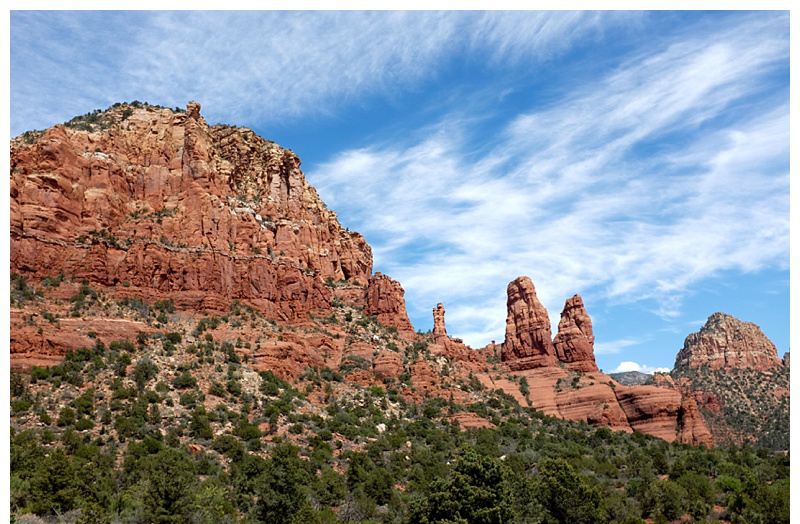 As we drove west, were five quite different stops for ‘natural phenomena’. First was a quiet detour to walk up a largely neglected extinct volcano at Bandera. 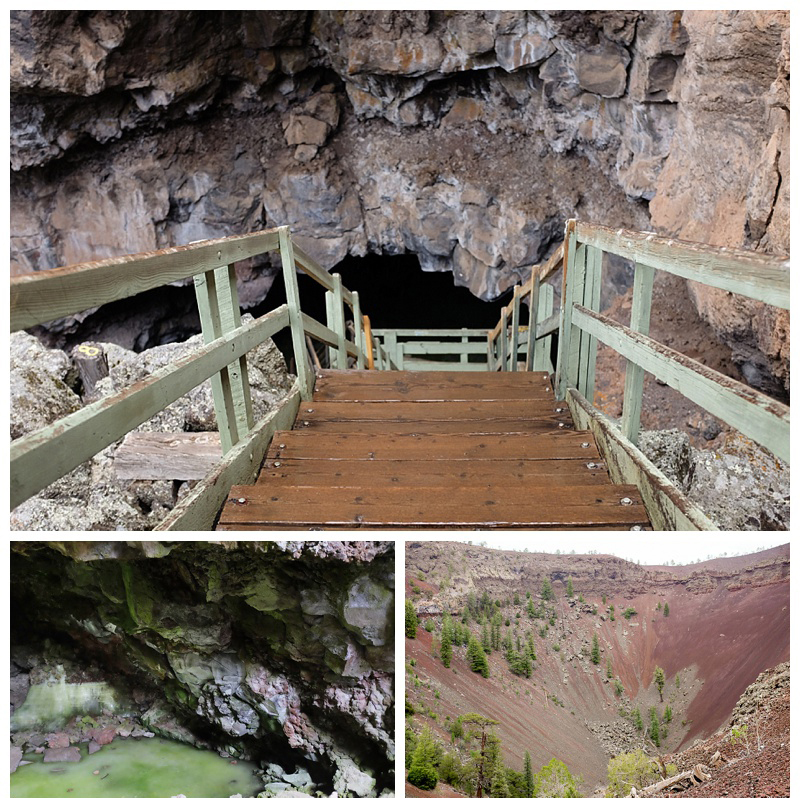 Also at Bandera was an Ice Cave – another remnant of the areas volcanic past. This was literally a cave that had 20-30ft deep ice inside that will never melt. The sun never reaches it, and the level of ice only increases over time as rainwater seeps in and freezes. It was a very odd thing to experience – as you walk down the steps the temperature literally plummets 20+ degrees at one particular point. 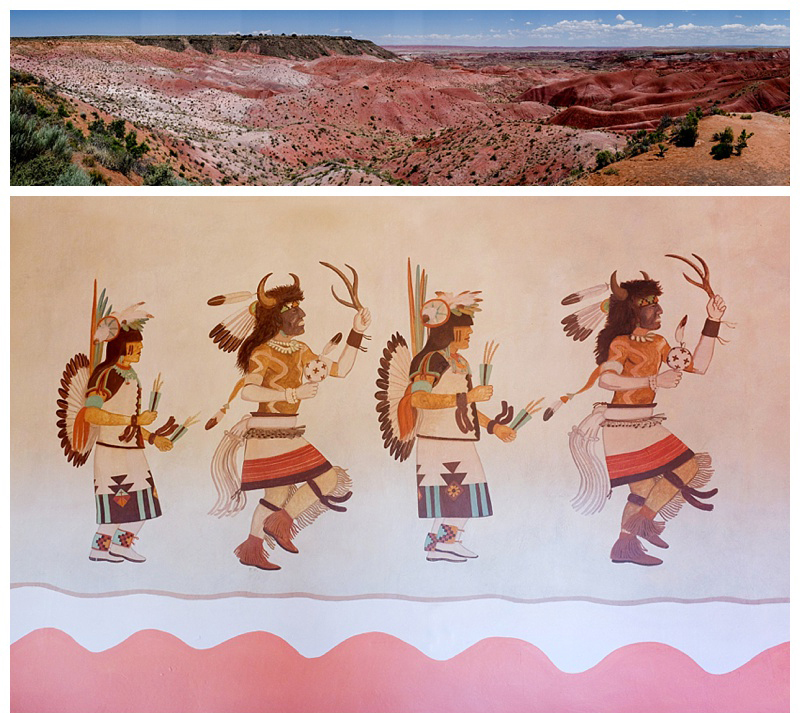 Then came the Painted Desert National Park, which has wonderful views across a peculiarly colourful desert, where the sands vary in colour through pastel shades of pink, red and orange. 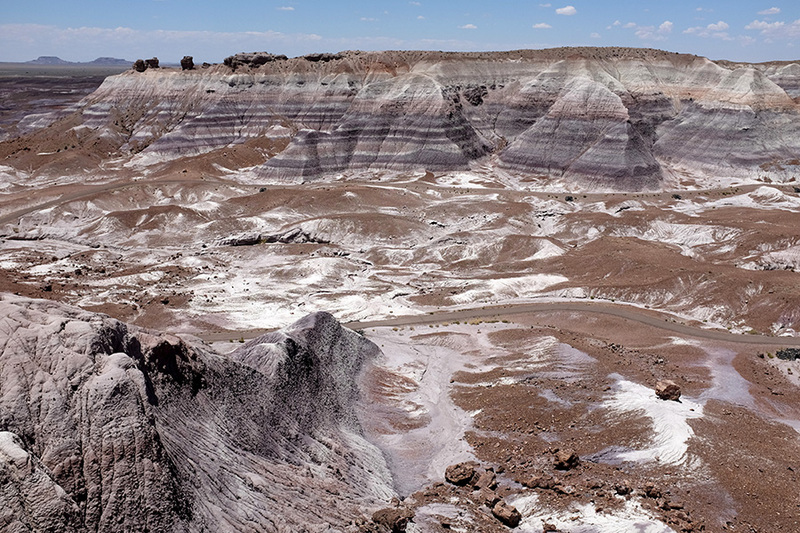 Also in the National Park is one of the world’s best collections of Petrified Forest. A prehistoric forest once stood in the area, in the age of the dinosaurs. Uniquely, the fallen logs from this massive forest became sunk in mud and, over millions of years, petrified into stone. Now erosion is exposing them in the desert as massive rock chunks that look just like freshly fallen logs. Last on this weird nature trail – a perfect crater in the middle of the desert, the result of a meteor about 50,000 years ago. Not quite as big as the one which wiped out the dinosaurs, It is one of the best preserved of such sites anywhere in the world, and the accompanying visitors centre tells a fascinating tale of Earth’s relationship with passing asteroids, meteors etc. 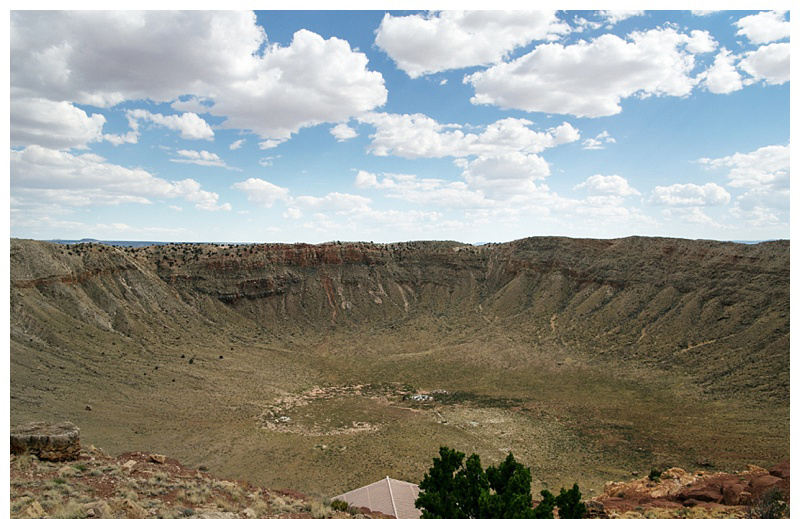 The crater has been used in numerous TV science shows, and was even used to train the Apollo astronauts. Flagstaff was the next port of call. The city centre had a very laid back, frontier town vibe. 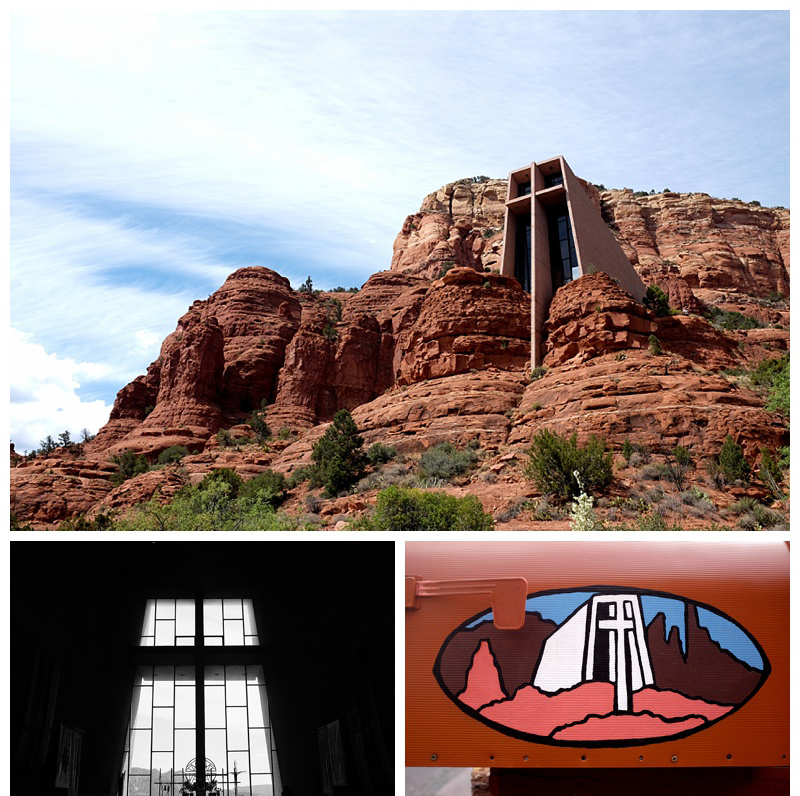 Some of what we had planned to do was scuppered by a large bush fire in the area, but we did manage to visit neighbouring Sedona, a kind of hippie town in the red-rock canyons that boasts a beautiful church built into the rock based on a design of esteemed architect Frank Lloyd Wright. From Flagstaff we headed to the Grand Canyon. 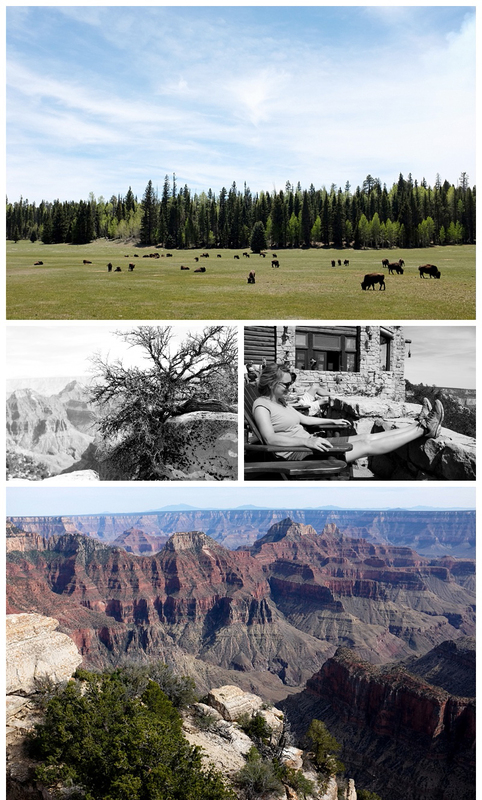 We visited the touristy South Rim first – which was extraordinarily busy, but suitably amazing. We managed to escape the hoards by hiking a good portion of the southern rim. It’s almost impossible to do the place justice in words – each vantage point gave a slightly different view of the vast expanse below. The colours, the scale, the plateaux in the rock that the Colorado has cut in over millions of years were all utterly mindblowing. 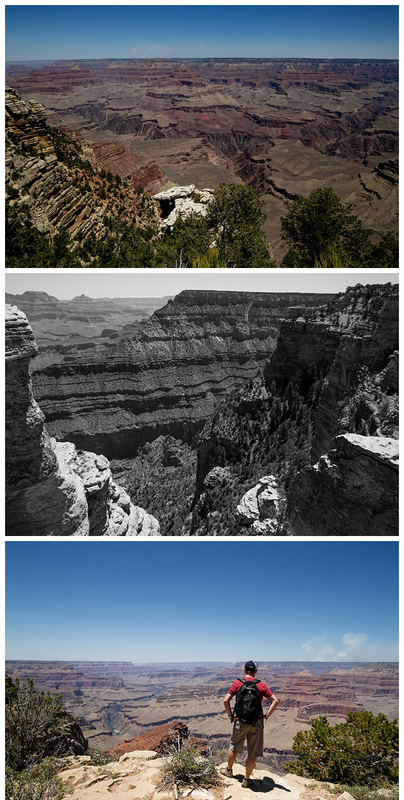 We also visited the less hectic North Rim, which if anything was even better. It’s less populous and much less hectic because it’s a much longer drive to get in to it – though the scenery you have to go through, particularly the wonderful meadows of grazing bison, was amazing. The throngs of bussed in tourists gives way to a much more relaxed enjoyment of the wonderful spectacle going on below. In between the north and south rims we passed through the town of Page, sitting on Lake Powell. (Site of the death of Dr Who in The Impossible Astronaut if you must know.) 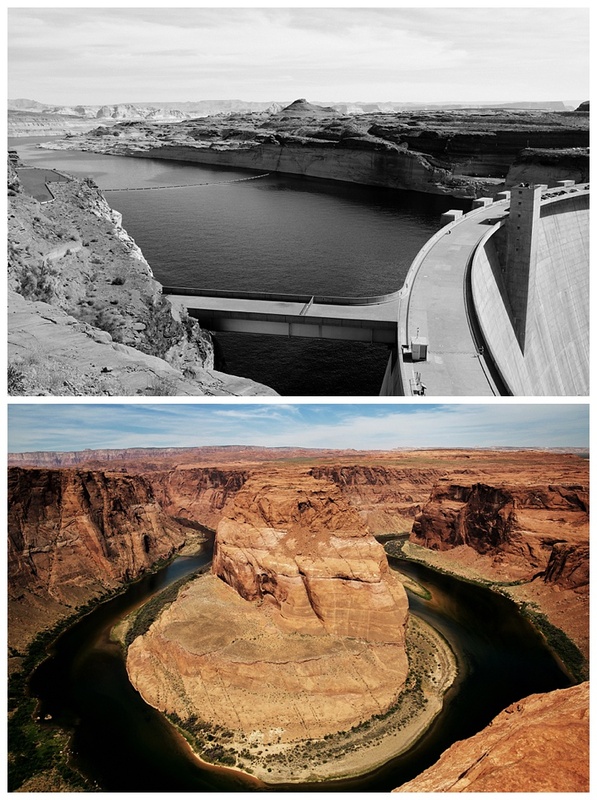 We popped into Glen Canyon Dam (site of the capture of Rory in The Impossible Astronaut… you get the idea) and the jaw dropping Horseshoe Bend. This last place is where the Colorado River almost turns back on itself before going into the Grand Canyon. From an unfenced cliff hundreds of feet above the water we nervously took in the stunning view. 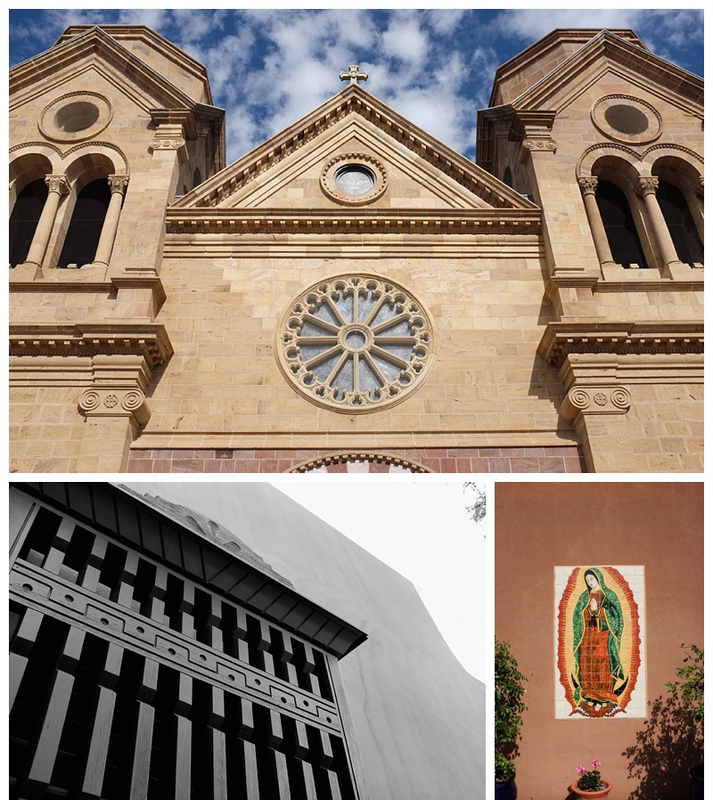 I had not planned on visiting Santa Fe, however when I re-routed my trip through Oklahoma, I decided to add Santa Fe and Albequerque. I too was underwhelmed by Albequerque in comparison to Santa Fe. 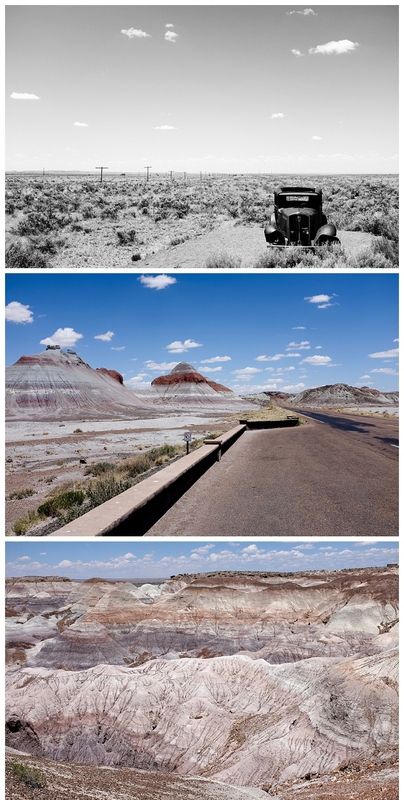 I also need to add the Petrified Forest to my next journey!